Born in Earlimart, California, Rambo had a twin brother, Orman Ray Rambeau, who would ultimately go professionally as Dirk Rambo. After moving to Los Angeles in the 1960s, the brothers were discovered by actress Loretta Young and cast in her CBS series, The New Loretta Young Show. On 5 February 1967, Dirk was killed in a road accident. Later that same year, Rambo landed the role of Jeff Sonnett on The Guns of Will Sonnett, and co-starred in the short-lived Gunsmoke spin-off, Dirty Sally, with Jeanette Nolan. During the 1970s and 1980s, he made guest appearances on Marcus Welby, M.D., House Calls, Wonder Woman, Charlie’s Angels, All My Children, Fantasy Island, The Love Boat, Hotel, and Murder, She Wrote. He also acted out the lead role in Sword of Justice, which lasted for ten installments in 1978 and 1979. 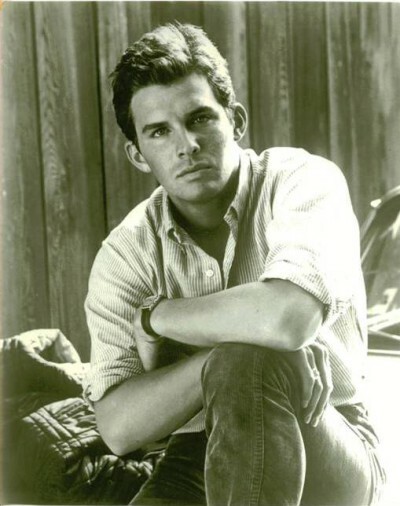 He is best remembered on television for playing Jack Ewing in the hit soap opera Dallas from 1985-87. While working on Another World in 1991, Rambo learned that he was infected with HIV. He quit the series shortly thereafter, and retired from acting. Rambo then publicly announced that he was HIV positive, and also revealed that he was bisexual. Rambo died in 1994 at the age of 52 of complications from AIDS.